The tab for unnplaned activities can be found in the left part of the Calendar. The Unplanned Activities tab shows only unscheduled Activities of one chosen user. These Activities can be easily dragged to the Calendar by holding the left mouse button. 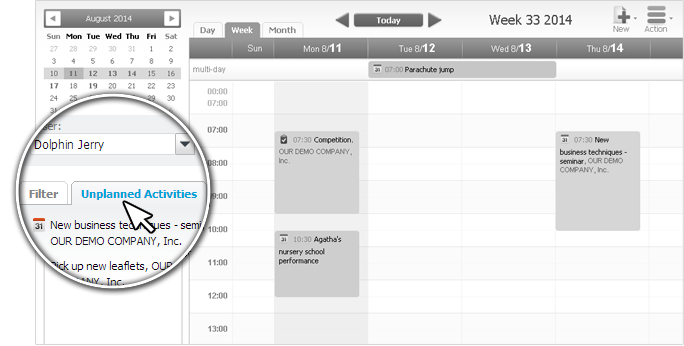 You can also move the Activity from the Calendar into the unscheduled Activities field to cancel it. Activities are primarily listed by priority, secondarily by name.